Color and list all the reasons you love your Valentine! Description of Coloring Page: The Valentine chart may be colored and also used to list all the things you love about your Valentine. 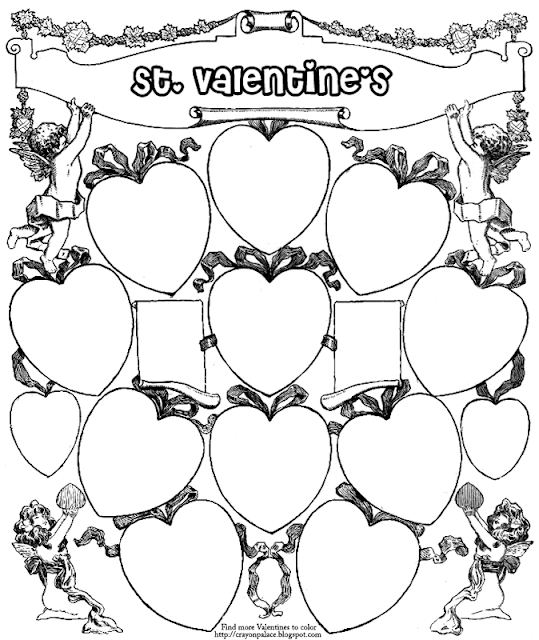 cherubim, hearts, ribbons, bows, wings, text "St. Valentine's"